How Do You Get a Scholarship? Do the Legwork First! How Do You Get a Scholarship? Do the Legwork First! How Do You Get a Scholarship? Do the Legwork First! While most scholarship applications are filed in the senior year, is there a way students can get ready for them any earlier? 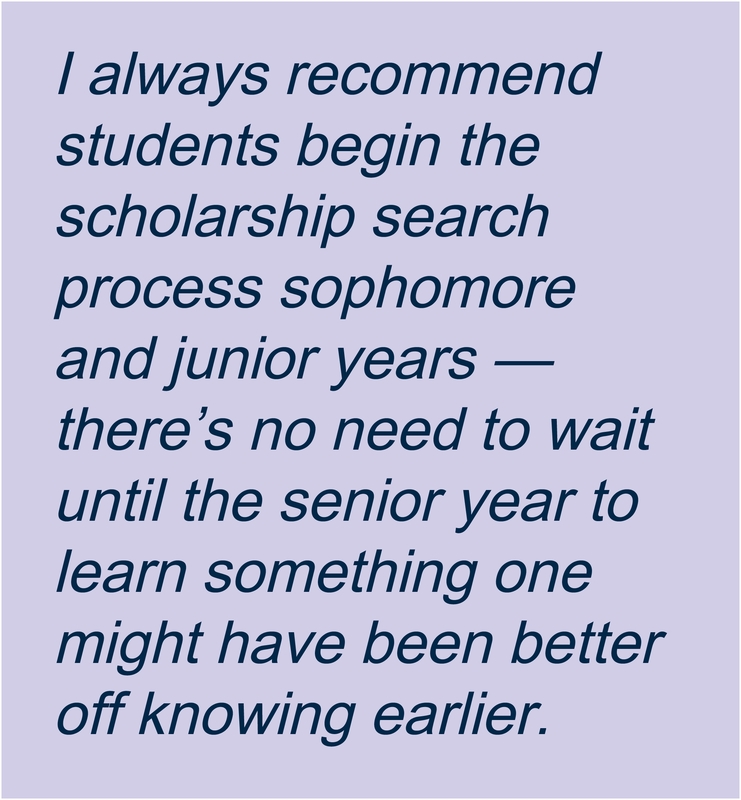 Similarly to how an early PSAT can help prep students for the SAT, the scholarship search process also has a route for preparing for those scholarship applications early on. Create a thoughtful list of what makes you unique. Take inventory of your special character traits, skills, and abilities. By taking stock of your talents and skill sets, you’ll be better able to hone in on scholarships that square with your profile. Get involved in activities that increase scholarship eligibility. Consider participating, both inside and outside the classroom, in activities related to your anticipated college major, your passion. It isn’t necessary to join every club, just those that really interest you. And if your dream club doesn’t exist? Start it. Sure, it takes time, but that kind of initiative jumps out on an application and makes a strong impression on scholarship selection teams. Supercharge your academic record. Take time to plan your schedule and enroll in academic classes necessary not just for graduation, but for any scholarships that might catch your eye. Some scholarships might require specific breadth or depth of subject knowledge, or a higher GPA than you currently have — set your bar to match those newly discovered requirements. Tap into resources at your high school. Each year, local scholarships are offered through the guidance office at your high school or through the public library. Get to know your guidance counselor and librarian and you could just get some good leads! Also, talk to graduating seniors to find out what scholarships they’ve received, and mentally bookmark some to revisit when you’re a senior. Check with your network. Applying for college scholarships is like applying for a job. You need to network and get the word out that you are looking for opportunities. Have your relatives check with employers, ask someone at your place of worship, and inquire with local civic organizations like the Rotary or Elks Clubs. Work smarter, not harder. While no one has time to sift through the thousands of results generated from conducting an online search for “college scholarships,” students can manage the internet to identify scholarships they’re most likely to win. Put a tool like Google Alerts to work for you. Create alerts with specific search terms like “women engineer scholarship,” “creative writing scholarship,” or “scholarship winner” and the name of your geographical area. And make sure you bookmark helpful scholarship repository sites such as Scholarships.com. The earlier you start searching, the sooner you can identify what you need to do to become the best possible candidate for scholarships. So what are you waiting for? Get searching! By the time senior year rolls around, you’ll be ready to submit applications to the scholarships for which you’ve already made yourself eligible to win. Get to know College Coach’s college financial planning experts.